A Change.org petition to stop Article 11 and Article 13 is getting close to half a million signatures. While European lawmakers seem content on killing off Internet free speech, it seems that European citizens aren’t just taking this. Hundreds of thousands of people are signing a petition calling for the halting of the link tax and the censorship machine. The petition had an initial goal of 220,000 signatures. It seems that it has blown way past that goal at this point. Now, it’s a question of just how many additional signatures it will amass at this point. Article 13, dubbed the Upload Filter and the Censorship Machine, is a proposed law that would compel any platform that takes user generated content to install faulty copyright filters. The problem is that the filters cannot take into account legal exceptions such as satire and criticism. As such, many are pointing out that there is some serious free speech concerns. 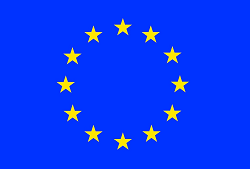 Article 11 would compel websites to pay a fee for linking to other people’s content. Such a system basically goes against how the Internet works because websites depend on linking between each other. As such, many raise the serious concerns about smaller news organizations, blogs, and third party sites being shut down because they would not be able to properly cite their sources. It’s difficult to say how many will end up signing the petition, but it seems the word is already getting out. So, we’ll likely see the list of signatures continue to climb as we get closer to the next critical vote. What do the Establishment fear? That the ordinary person will be informed of matters, that ‘they’deem we are too immature or feeble minded to understand.